The country's highest circulated newspaper Prothom Alo said 3G and 4G internet services have been shut down for 24 hours since late Saturday, shortly after the violence broke out. 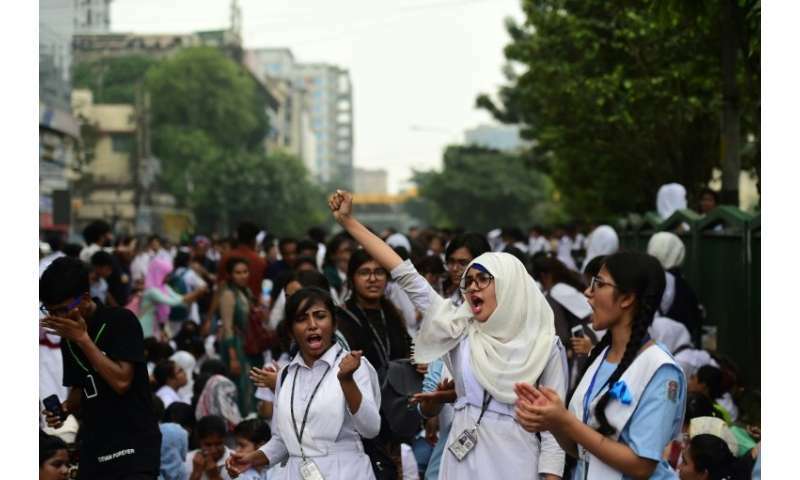 Jahirul Haq, chairman of the Bangladesh Telecommunications Regulatory Commission (BTRC), told AFP they received a "decision" from the government. But he did not clarify what was the government order was. He said he would comment further on the situation later Sunday. A senior telecoms official who asked for anonymity said: "The BTRC has slowed down the internet at the order of the government."